I am best known as the author of educational books for saxophone, clarinet and flute, including the best-selling ‘Jazz Method For Saxophone’ (published by Schott). I play many different styles of music, specialising in jazz and bossa nova, and have performed with some of the finest musicians in British jazz and world music at many of London’s leading venues, including Ronnie Scott’s. 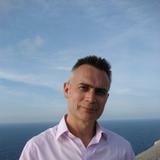 I have also worked as a composer, arranger and musical director for film, television, theatre and dance. I am a qualified teacher, holding a Postgraduate Certificate in Education, with nearly thirty years experience teaching all saxophones, clarinet and flute, both privately and in schools. My own teachers included legendary jazz saxophonists Lee Konitz and Warne Marsh. Since 1985 I have taught saxophone at The Latymer School in North London. 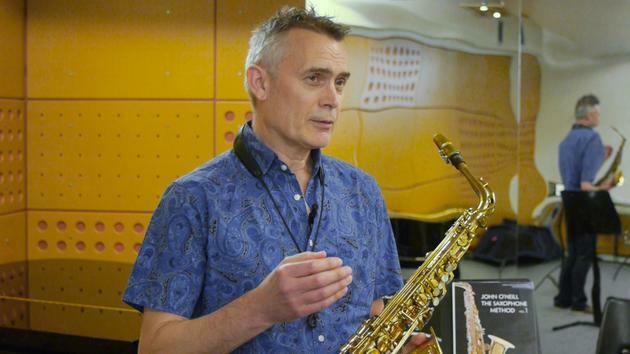 Between 1985 and 1990 I was advisory teacher on jazz for the London Borough of Enfield, in which capacity I gave in-service training to music teachers on jazz history and improvisation in order to help them implement the new GCSE curriculum. Between 1988 and 1992 I founded and directed the Enfield Schools Jazz Orchestra. I have taught on jazz summer schools in Spain and the Czech Republic, and on the jazz course at Trinity College of Music, London.